Month of Unlikely Anime Couples! 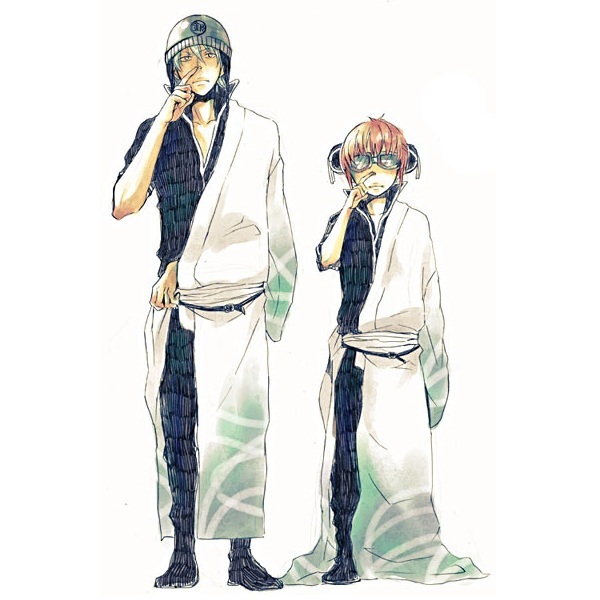 Gintoki takes care of Kagura since her dad travels the Amanto Outer Space as a bounty hunter. Unlikely because Gintoki is frequently paired with Tsukuyo (Tsuki) and Kagura with Okita Sougo. Also, because some episodes feat them both like the "Sleep Helps a Child Grow" (ep 153) episode.